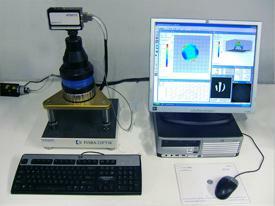 The specifications of most laser mirror surfaces involve sub micrometer dimensions, too small to measure mechanically. 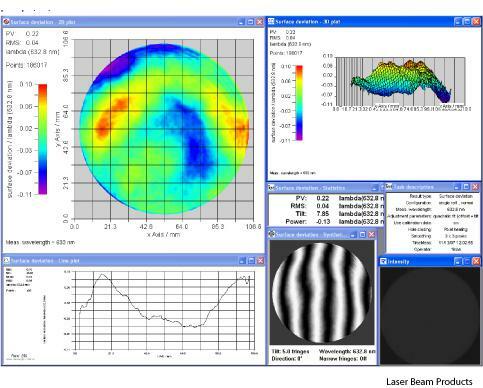 Interferometry uses laser light to generate interference patterns that can be interpreted to measure the flatness, radius of curvature, or angle of a laser optic as well as other properties. 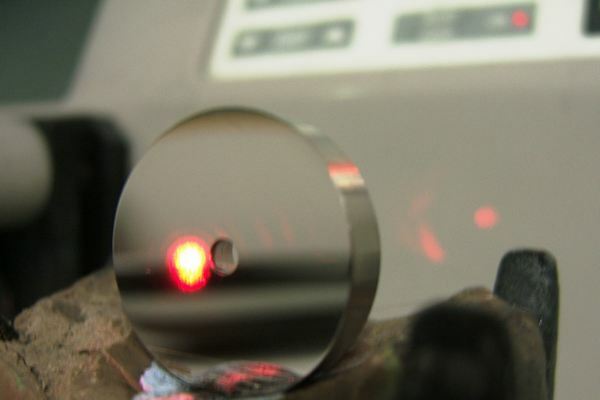 For the majority of our mirrors we use a phase shifting interferometer for quality assurance. 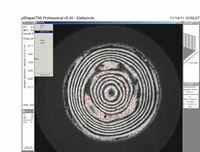 With software analysis of the interference pattern a hard copy of the results is available to our customers. This demonstrates that surface form specifications such as power and irregularity have been met. 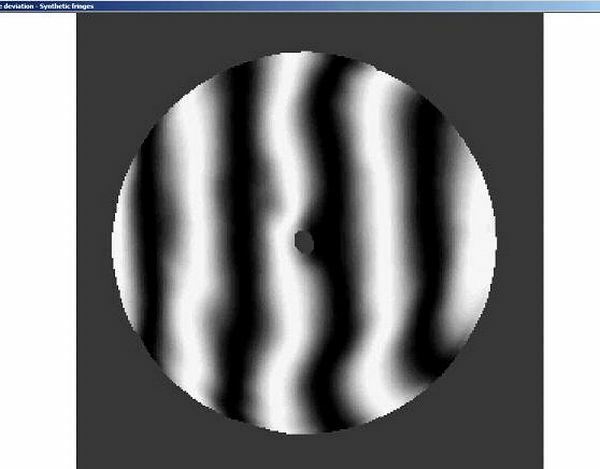 This measurement of the spacing and curvature of the black and white lines (or “fringe pattern”) can be used to interpret the optical flatness of the laser mirror. 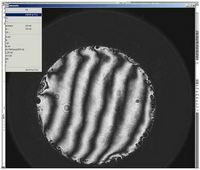 It is also useful to measure and align optical assemblies such as reflective beam expanders or collimators, with an interferometer. Of great interest to us has been investigating the mounting of optics and observing the deformation that can occur to mirrors from poorly designed mounts or excessive mechanical force. We can supply mirrors complete with mounts and internal water cooling, proven by interferometry that the assembled mirror has not been deformed. 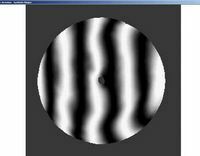 We also use interferometry to measure the wedge of flat laser mirrors to ensure parallelism. 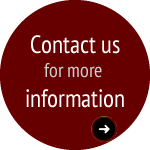 Results can be reported in many different forms, such as ISO 10110, Zernike polynomials or graphically.